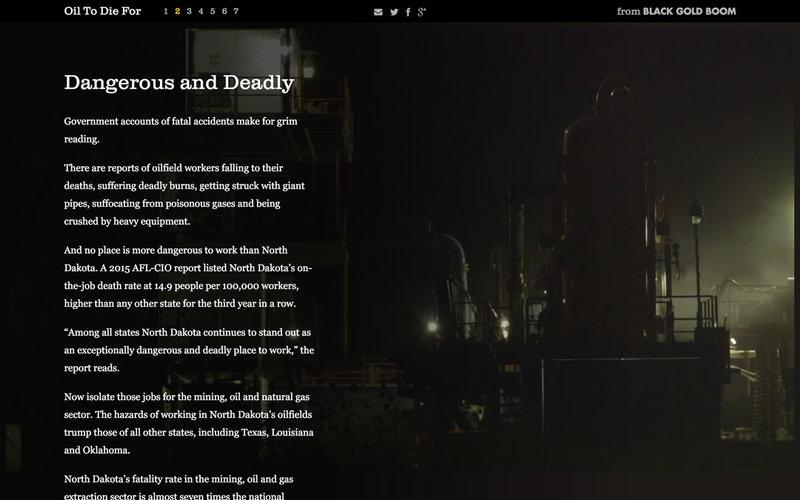 The oil boom in North Dakota has made a lot of people a lot of money, but not without sacrifice. 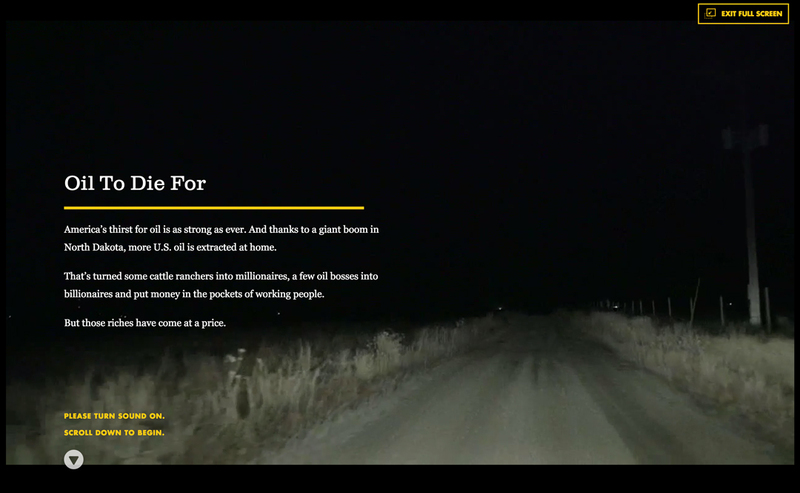 Oil To Die For is an interactive documentary by independent producer and reporter Todd Melby that examines the dark downside of the “Black Gold Boom”. It is also not really a Helios project: we lent out our precious lead programmer Dan Sundy to Todd and his people, and they were good enough to return him in one piece. Todd and Dan and a whole bunch of great people made such a cool and compelling piece that we are including it here in our portfolio, as a testament to the collaborative work model. 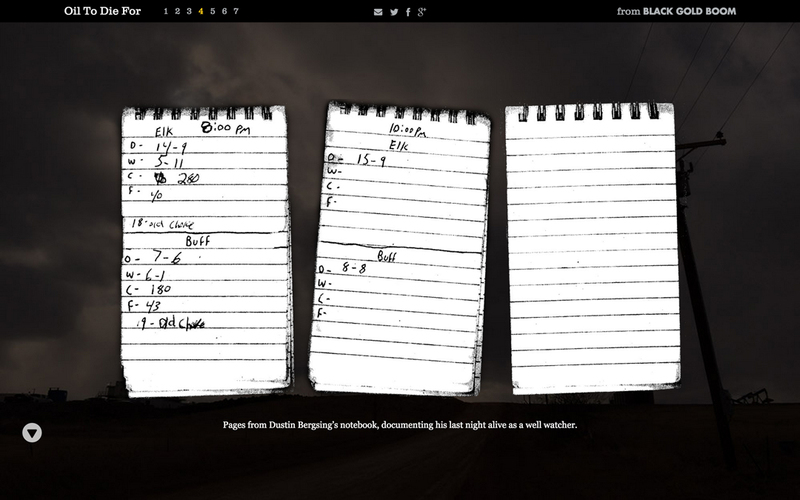 Scrolling through the chapters of the single page site, the story of soon-to-be husband, new dad and well watcher Dustin Bergsing emerges. 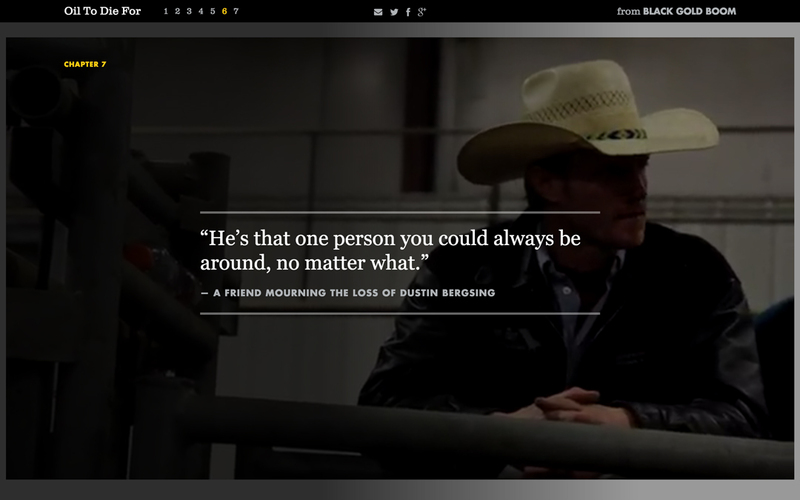 The piece uses an array of media—audio clips, video, images, charts, letters and documents, graphic timelines, YouTube embeds—to tell the story of Dustin’s death while working for Marathon Oil Company. It tackles the big question: was this a preventable death? To get answers, Melby filters through industry data and legal documents. 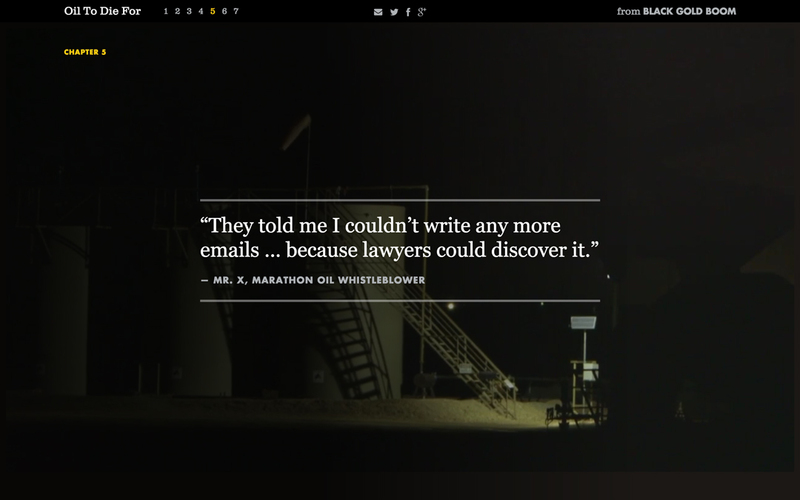 The interactive also includes excerpts from a company whistleblower who is attempting to alert Marathon Oil to safety hazards. All the while, we get glimpses into Dustin’s life and see his loved ones mourning a potentially needless death. 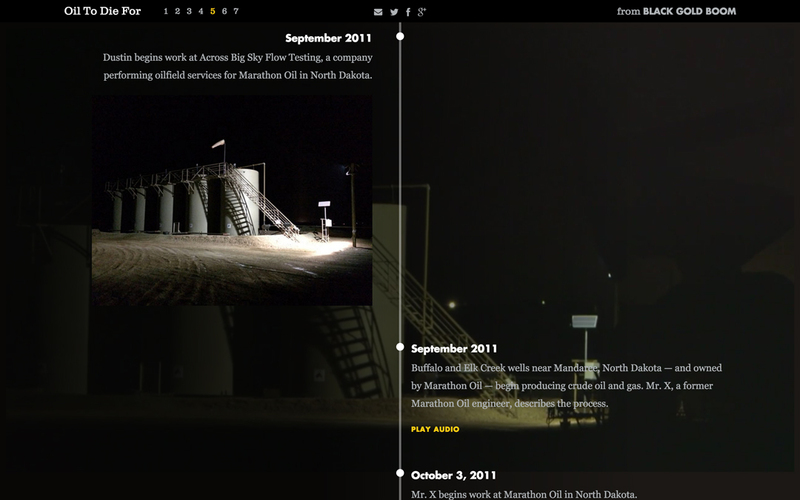 “Oil To Die For” launched on May 18, 2015 alongside the airing of television documentary “Black Gold Boom” (Prairie Public, North Dakota and other PBS stations later this year).